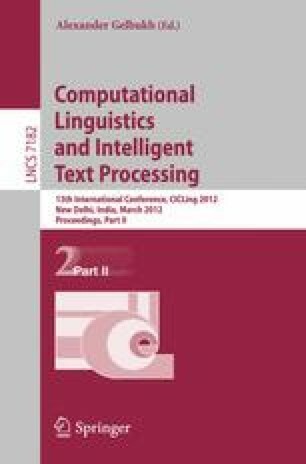 This paper discusses an algorithm for identifying semantic arguments of a verb, word senses of a polysemous word, noun phrases in a sentence. The heart of the algorithm is a probabilistic graphical model. In contrast with other existed graphical models, such as Naive Bayes models, CRFs, HMMs, and MEMMs, this model determines a sequence of optimal class assignments among M choices for a sequence of N input symbols without using dynamic programming, running fast–O(MN), and taking less memory space–O(M). Experiments conducted on standard data sets show encourage results.